Congratulations to all of our October giveaway winners! TinyPrints started as 3 friends filling a gap in the market: quality baby stationery. Since then, the company has expanded to offer invitations, announcements, and greeting cards for all occasions as well as gifts and decor and photo books. Tiny Prints has many, many options and seemingly endless configurations: season, gender, pregnancy, adoption, number of photos, flat or folded (or accordion! )…the list goes on and on. The cards are printed on heavy stock that will hold up to the abuse given by the postal system. You can purchase your own Birth Announcements at TinyPrints, starting as low as $0.79/card. TinyPrints is also offering a $10 discount on your first order when you subscribe to their newsletter. Be sure to check out their Promotions Page for more coupon codes and deals. Follow Tiny Prints on Twitter. Subscribe to the Tiny Prints Newsletter. SeriousShops.com is a niche retail store that offers quality games and puzzles, chai teas, smoothies, and flavored syrups, plush toys, and much more. What sets SeriousShops.com apart from other niche retailers is their owners and team – they are a family business, and they are truly motivated to make your shopping experience incredible. Their pricing is competitive, and their employees are caring and professional. But best of all, if you order from one of their websites before 4pm Eastern Monday through Friday, your order ships the same day, guaranteed. “Qwirkle is an award winning tile based strategy and matching game, with awards like the ‘Mensa Select Award,’ ‘Parent’s Choice Gold Award’ and Runner-Up for Games Magazine’s ‘Best Family Game Award.’” Because it is primarily a matching game, you can water down the rules to meet your child’s developmental level. You can purchase your own copy of Qwirkle at SeriousCards.com for only $24.95. Shipping is free on orders over $60. 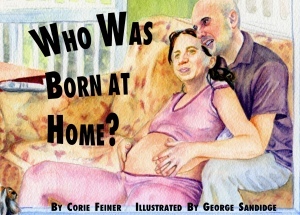 In Corie Feiner’s new book, Who Was Born At Home?, she takes us on a literary journey to various destinations around the USA to visit the birth places of famous figures such as Thomas Edison, Martin Luther King, Jr. and Elvis Presley (to name a few), woven together through beautiful poetry. Who Was Born At Home? concludes with a short biography of each person talked about in the book. So beyond showing how homebirth is normal, it gives you a chance to teach your child about some notable people and events in American history. Who Was Born At Home? can be purchased online at Amazon. The price is an affordable $9.99, and the book is eligible for free Super Saver Shipping. Follow Corie Feiner on Twitter. Check out Who Was Born at Home?’s Blog. You can purchase your own natural products at It’s Naturally Pure. Everything offered is very affordable. In fact, it would be hard to find similar quality products at prices this low. And just for Natural Parents Network and Hybrid Rasta Mama readers, It’s Naturally Pure is giving a 10% discount on all orders. Enter code giveaway10 during the checkout process in the “instructions to merchant” section. Follow It’s Naturally Pure on Twitter. Check out the It’s Naturally Pure blog. I am so excited about the most recent giveaway.